You’re driving along when your cell phone chimes, indicating that you’ve received a text. You glance down, pick up your phone and quickly scan the message. No harm done, right? Well, maybe not this time. But whenever you read or send a text while driving you’re taking a huge gamble with your life, as well as with the lives of those around you. According to the Department of Transportation, sending or receiving a text takes a driver’s eyes from off the road for an average of 4.6 seconds: the equivalent of driving the entire length of a football field at 55 mph – blindfolded. Given this frightening statistic, it’s not surprising that distracted driving accidents took the lives of approximately 3,328 people in 2012, and caused injuries to more than 421,000. Additional statistics show that if you drive while distracted, you are 23 times more likely to be involved in an accident. Distracted driving occurs when a driver engages in any other activity that takes your mind off the road or your hands off the wheel of the car. Typical examples of distracted driving include using a cell phone either to text or talk, adjusting your navigation system or MP3 player, or even chatting with other passengers in the car. Cell phone use and texting is one of the most dangerous kinds of distracted driving. Despite it being firmly against New York law to use handheld cell phones or any portable electronic devices while driving, there has been an estimated 143% increase in cell-phone related vehicle accidents in New York state between 2005 – 2011. Governor Cuomo is dedicated to decreasing the number of distracted driving accidents, initiating several crackdown periods where state and local police are on high alert, looking for distracted drivers on the road. And they’re catching plenty of violators. In 2012, New York issued 30,116 tickets for texting while driving, a 234% increase from the year before. Violators of distracted driving laws can expect to be slapped with a $50 – $150 fine for a first offense, up to $200 for a second offense, and as much $400 for a third offense. Put your phone out of reach when you get in the car. As the say, out of sight, out of mind. When you have your phone next to you, you’re more likely to look at it or use it. You should also switch it off so you won’t be distracted by it ring or a text message signal. Use the dedicated “texting zones” on New York highways to text. In September 2013, Governor Cuomo unveiled 91 special texting zones along major highways throughout the state where drivers can safely pull off to send and read texts. Just wait. If you can’t find a texting zone, wait until you’re safely pulled over and parked before sending a text or using your cell phone. No text is so urgent that you need to create a dangerous situation for yourself and others to read or send it. Have a “designated texter.” That’s right – just as people planning to drink can ask a friend to remain sober and drive them home, you can designate one of your passengers to read and send texts. Educate your teens on the importance of not driving distracted. Driving distracted is an especially serious problem among teen drivers. According to Distraction.gov, 21% of drivers between 15 -19 involved in fatal crashes were distracted by a cell phone at the time. Open a dialogue with your teens about how to avoid driving distracted, and remember to teach them by example: don’t drive distracted yourself! We hope you stay safe and act smart while behind the wheel of a car. But if you or someone you love suffers injuries from a distracted driving accident, contact a skilled accident attorney to help preserve your rights to compensation. 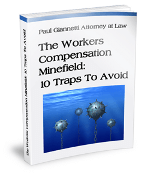 Call me, Paul Giannetti Attorney at Law, at (866) 868-2960 or contact me online for a free consultation. If you think this post useful, be sure to share it with a friend.